I’m launching my new 25,000 word eBook on Amazon very soon and will be giving away 100 copies to the readers of my newsletter list. If you’d like to get your own copy, make sure you enter your email address in the form on the right of this page to be notified via email on how you can get your own copy for free! 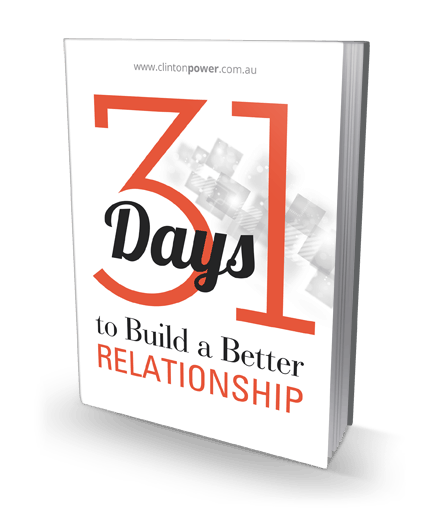 31 Days to Build a Better Relationship is a tips-based book where you can improve your relationship one day at a time. Just read one chapter a day, do the action steps and then start to build a better relationship!